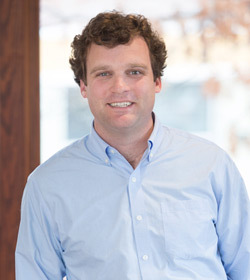 Joel Carter joined Harren Equity Partners in August 2009 and currently serves as a Principal. His responsibilities include identifying and assessing investment opportunities, closing and financing transactions and monitoring portfolio companies. Joel served as a board observer and was integrally involved in all aspects of Harren's successful realized investment in Professional Directional, primarily working with management to improve financial and operational reporting as well as budgeting and forecasting. Joel works directly with the management teams at three current investments: Marianna Industries, Energy Fishing and Rental, and Spartan Energy Services. At both Marianna and Energy Fishing, Joel has helped to execute a number of strategic objectives, including the origination and design of each Company’s financial and operational reporting, the design and implementation of management flash reports and key performance indicators (KPIs), and the organization of each company’s annual forecasting and budgeting processes. At Energy Fishing, Joel worked with management to activate and utilize Energy’s inventory management and purchase order modules while also assisting in the design and implementation of Energy’s new field reporting module. Joel is a member of the Board of Directors at Spartan Energy, where he is helping to identify and leverage improved financial and operational reporting to help maximize that Company's growth trajectory. Prior to joining Harren, Joel was a member of the global healthcare investment banking group at Merrill Lynch where he executed a number of mergers and acquisitions and corporate finance transactions across various healthcare sectors. Joel and his wife, Megan, spend most of their time trying to keep up with their identical twin daughters and infant son. In whatever free time is left, Joel enjoys fishing, reading, and music.